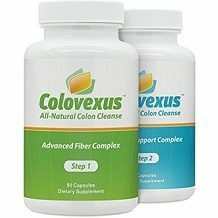 We’ve taken a close look at Colovexus, which claims to be the best colon cleanser on the market. We evaluate this claim by looking at the ingredients in the product and the customer support that the manufacturer provides. Colon cleansers like Colovexus, are designed to remove toxins from the colon and improve its health, so that bowel movements are more easy, and feelings of bloatedness and fullness are reduced. Colovexus is a two-stage program. Stage 1 ingredients contain a large amount of fiber. Fiber forms a bulky adherent mass in the intestine to which most of the unwanted chemicals and compounds stick. They then get ejected with the fiber. This clears the way for the second stage of ingredients to work. The second stage of ingredients seems to be involved with repair of damaged intestine tissue. Vitamin C is a very important component for remodeling damaged tissue to heal it. Lactobacillus acidophilus is a probiotic bacteria that helps to prevent the build-up of unwanted compounds. The rest of the ingredients (except magnesium oxide) have antioxidant effects which help to reduce inflammation and heal colon tissue. For stage 1, two capsules should be taken in the morning with 8 to 12 oz of water, and two stage 2 capsule should be taken in the afternoon with 8 to 12 oz of water. The manufacturer doesn’t state whether the supplement should be taken with food or not. As with any colon cleanser, there is the possibility of developing diarrhea. The first option is to lower the dosage of the supplement, and if that doesn’t help, then use of the product must be stopped. Pregnant women, nursing mothers and people with long term medical conditions should consult a doctor before using this supplement. The 2 stages can be purchased together for $39.99 for 30 days supply. A 60 days supply will cost $64.99 and a 90 day supply will cost $89.99. There is free shipping on the 60 day and 90 day options, while there is a shipping fee of $5.95 for the 30 days supply. Colovexus is protected by a money back guarantee. One used bottle may be returned per customer, along with all of the other unused bottles if the customer bought in bulk. The guarantee is valid for 90 days. The ingredients are quite well considered in their actions because they work together to produce the effect of a colon cleanse. This manufacturer also offers a reasonable guarantee. 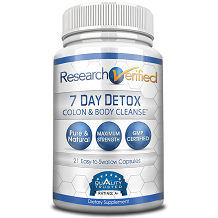 This supplement certainly has good potential as a colon cleansing supplement. There are some features that let the product download when it is compared to top manufacturers. For example, top manufacturers offer a much bigger range of pricing options where customers can receive very large discounts for buying many of the supplement at once. The discounts given by this manufacturer are much smaller. Top manufacturers are also completely clear about how to take the supplement – including whether it should be taken with food or not, whereas this one is not.